Sibin Zlatkovic is responsible for the training and development of our piano technicians, and all FEURICH partners worldwide. Together with Jörg Wachler and Stéphane Boussuge, he leads our technical team in terms of sound expertise and piano preparation. He works to achieve the best possible dynamic range, a long and warm tone, and a rich variety of colours from our pianos – the typical Viennese sound. 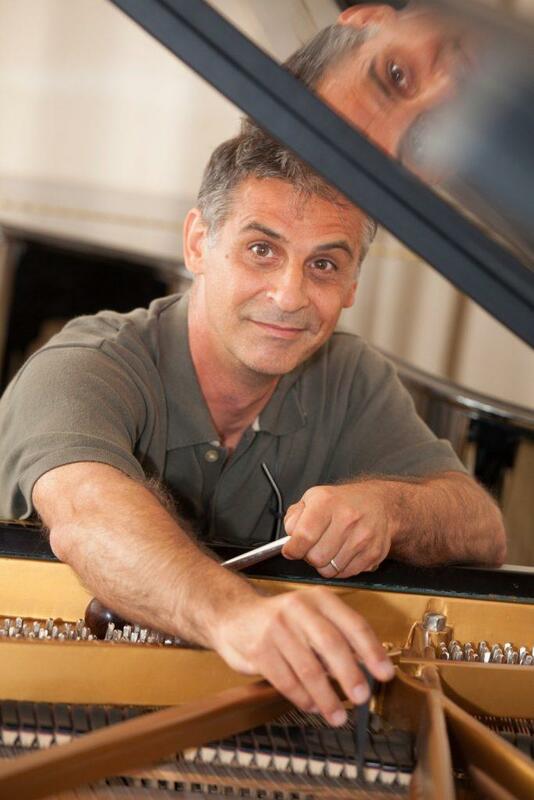 Sibin Zlatkovic has over 30 years’ experience in piano preparation, restoration and in training other piano technicians. Sibin studied at the Music University of Belgrade between 1981 and 1984, and he then started work at the university as a piano tuner and technician, attending various masterclasses held in factories owned by prestigious brands such as Steinway & Sons and Bechstein. In 1987, he began working for the world-famous Bösendorfer factory in Vienna, where he was responsible for action building and final voicing treatment of the instruments. He worked with Bösendorfer until 1992 and at the same time became the first choice as sales and services representative for numerous European brands such as FEURICH, Steinway&Sons, Hoffmann, Grotrian, Petrof, Ibach, among others.